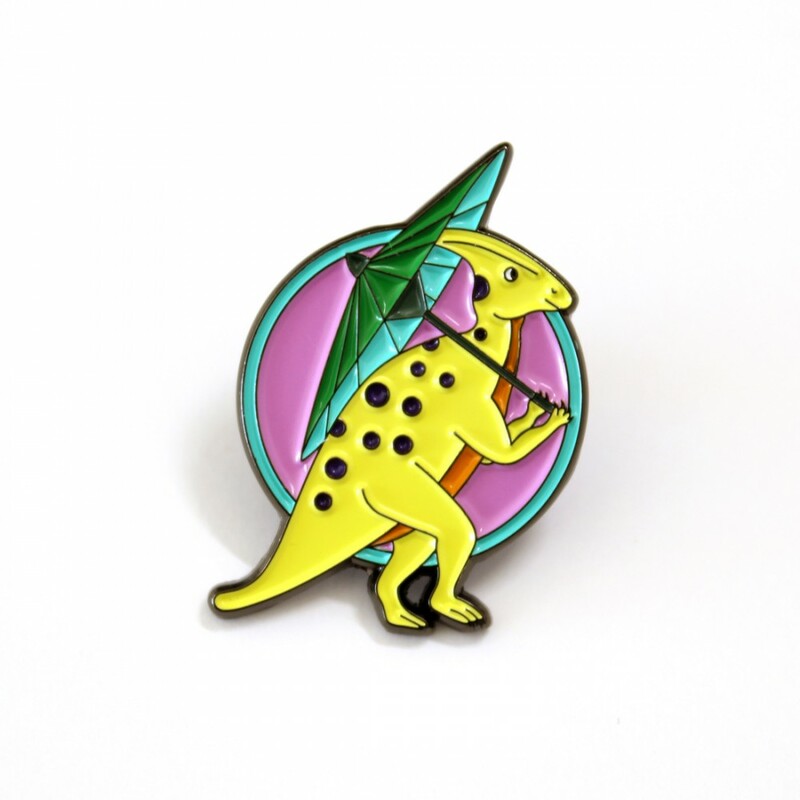 This parasaurolophus holding a parasol is hard to say, but oh so cute! 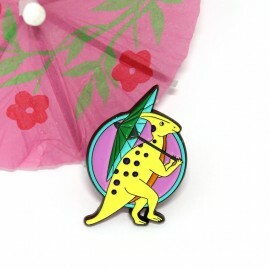 The design features a yellow parasaurolophus with purple spots holding a green parasol on a pink and green circle as the background. 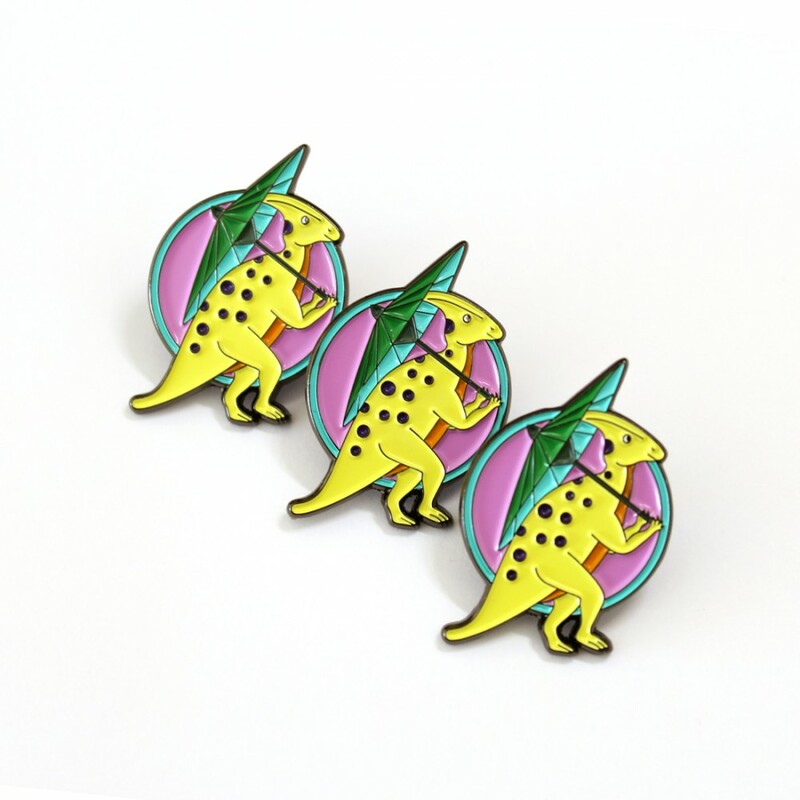 SECOND - these pins have flaws and are not perfect. 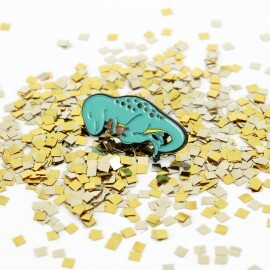 Flaws include air bubbles, marks in the enamel, .. 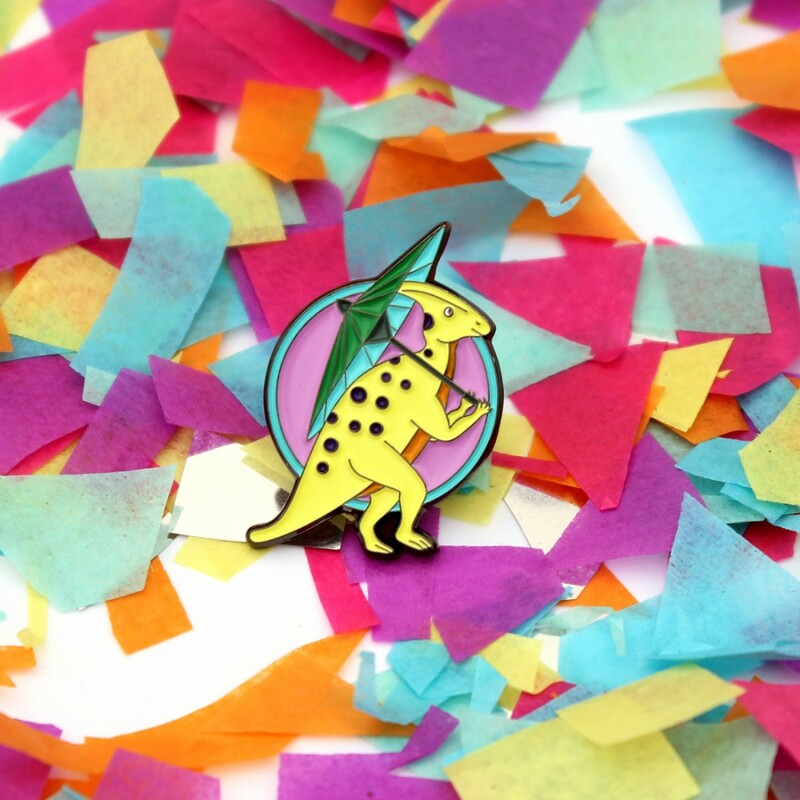 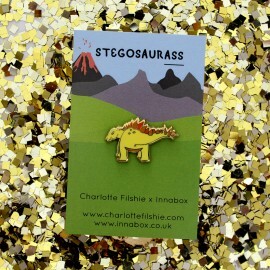 This pin is a collaboration between Charlotte Filshie and Innabox designLIMITED EDITION! 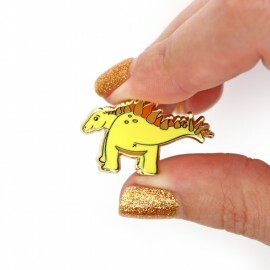 Once it sel..